It’s asparagus season!!! They’ve been at the farmer’s market for a month or two now (so I know I’m totally behind here), and they are just so nice to look at, don’t you think? There’s something really regal about them, luxurious almost–I can imagine Louis XIV snacking on them while sippin’ on champagne on his bejeweled throne in Versailles, between killing people and screwing his sisters. Not only are these spiky things good for you, but they color your pee green, and makes it stink somethin’ sour. 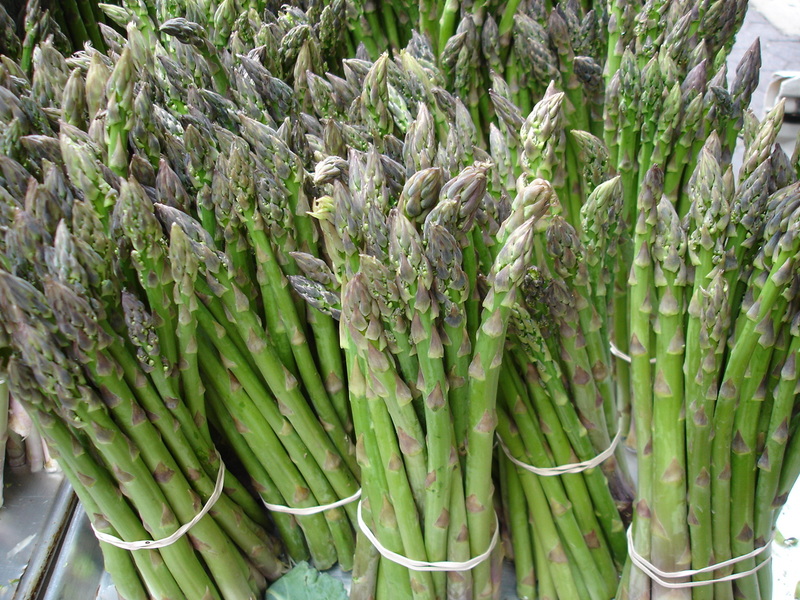 Asparagus makes your pee smell awesome! Wanna know why? Here’s an explanation. Ok, I admit that the main reason why I love asparagi (or asparagus – plural, whatever) is because they are not only pretty and have a fancy schmancy air to them, but they are also extremely EASY to cook. I am currently obsessed with putting everything in the broiler after Bittman’s article, so this is no exception. TA-DA!!! That’s it! You can serve it just like that. Easy, pretty and good for you. Love it. I sorta added a few things to this to pump up the pretty factor. I sauteed shiitake mushrooms with oil, garlic, and a little bit of sake and soy sauce. 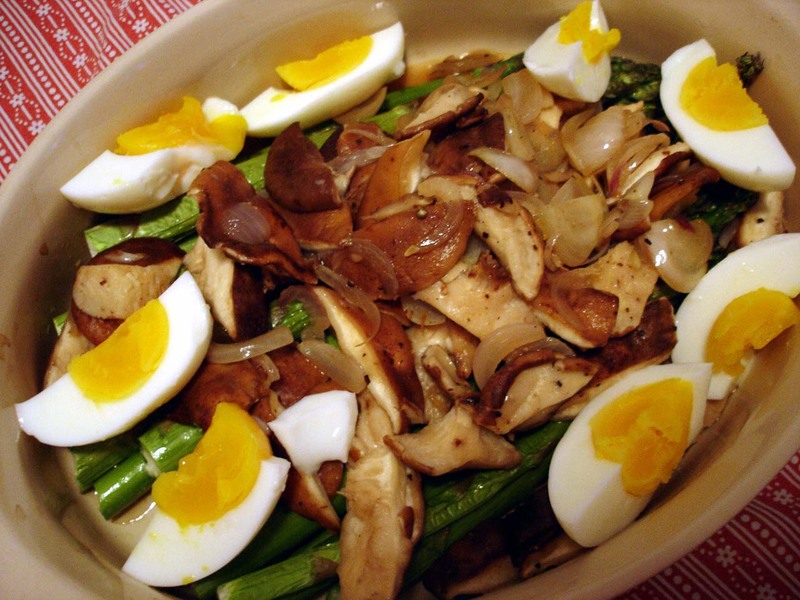 Then I quartered a few soft-boiled eggs* and garnished the dish with it. Doesn’t it look nice? It was pretty darned tasty too. Here’s a fun video I just found of Bittman and Batali making risotto with asparagus. This entry was posted on July 5, 2007 at 12:37 pm and is filed under *Kayoko, Veggies. You can follow any responses to this entry through the RSS 2.0 feed. You can leave a response, or trackback from your own site. apparently some people have the asparagus-pee-smells-funny gene and some don’t…..for the record, i do and i can’t get enough….